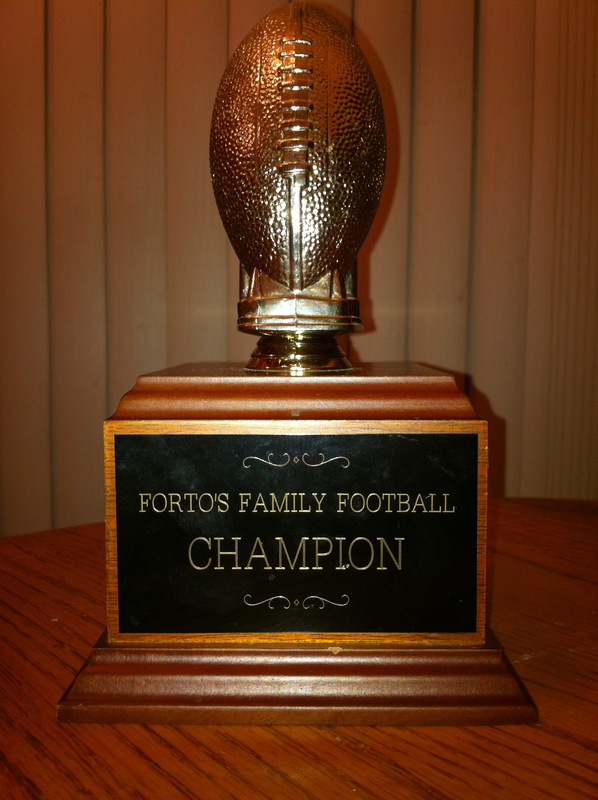 We are heading into the second half of the season in Forto’s Fantasy Football. The standings are the same as last week but that does not discount the moves and trades that are happening with a flurry, especially with Tyler’s Juneau. Jinx: It was the bye week for most of my team. All of my bug point getters were off this weeks except one: Arian Foster the Texan’s superstar running back. He earned me a whopping 40 points this week and brought me a solid first place position that just might be hard to beat. Qyainators: One thing’s for sure, Nicole IS my daughter! Her team was also all on the off week and she traded and moved her players around accordingly. While she struggled this week and it was to be expected with all of her bench players trying to earn her a top spot, she is only 64 points behind her dad. Wildcats: Russell’s Wildcats had another great week! Be careful, Nicole or the Wildcats will tangle with the Qyainators for second! Russell had a great performance by his running backs: the Vikings, Peterson and the Bears, Forte each earning him 23 points. Dreamchaser: Injuries still continue to hurt Michele’s team. Both of her running backs earned her a big fat goose egg but her QB, the Saints, Brees had a great game with 33 points. Chargers: There is a reason why the Packers are the Super Bowl Champs and why Aaron Rodgers is the top QB in the league. Kyle’s one-two punch with Rodgers and WR Jennings continue to pay dividends but they are heading into a bye week next week. We will see what happens to the Chargers in week 8. Juneau: Tyler: C’Mon Man! what happened? You had 6 players on bye week and you didnt move anyone from your bench. That hurts. I know he will pay attention this week.